These powerful movements are playing their part in breaking down the taboos associated with male health issues in their own unique ways! Right from childhood, young boys are encouraged to ‘be a man’ or ‘man up’ and keep their emotions bottled up inside. Whether it’s a playground injury, a slight illness or a feeling of sadness, we’re taught that expressing our emotions is a sign of weakness and vulnerability, and ‘toughing it out’ is the best option. Boys introduced to this level of social stigma at a young age grow up to be men who are trained to remain tight-lipped about their problems. Whether the issue is mental health, physical health, or just general disappointments in life, men view remaining quiet as a better option than seeking help and support. Times are changing, however, and these organisations are seeking to abolish the taboos associated with speaking up about health issues with their unconventional but powerful campaigns. 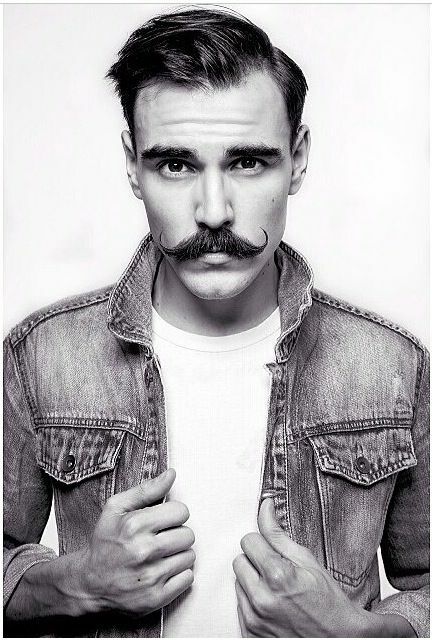 Movember started with a group of young men in Australia coming up with the idea of growing moustaches for charity and has since grown into a global movement with massive support all over the world. The premise is simple—shave off your beard and sport a moustache during the month of November to spread awareness about male health issues such as prostate cancer, testicular cancer, and male suicide. The goal is to reduce the number of preventable deaths by encouraging men to embrace a healthier lifestyle. It’s definitely a success story, garnering support from athletes and celebrities and raising millions to fund their charitable goals. 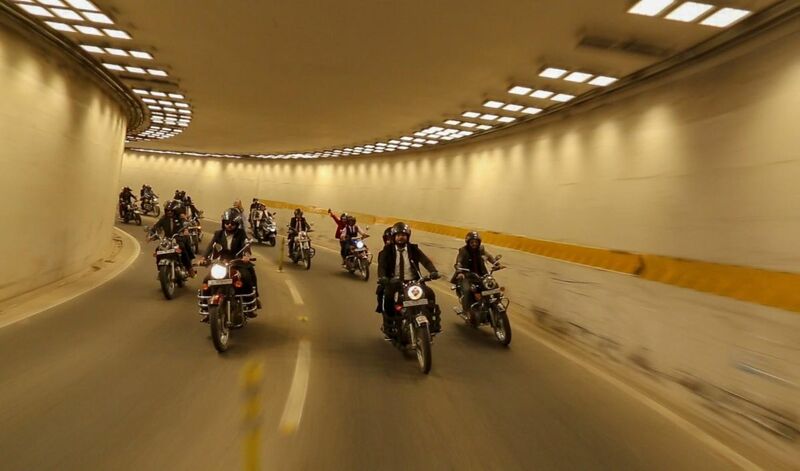 If you saw over 500 men dressed in their finest suits astride vintage motorcycles riding around Delhi NCR on Sunday, September 30, you’d be forgiven for wondering what on Earth was going on. 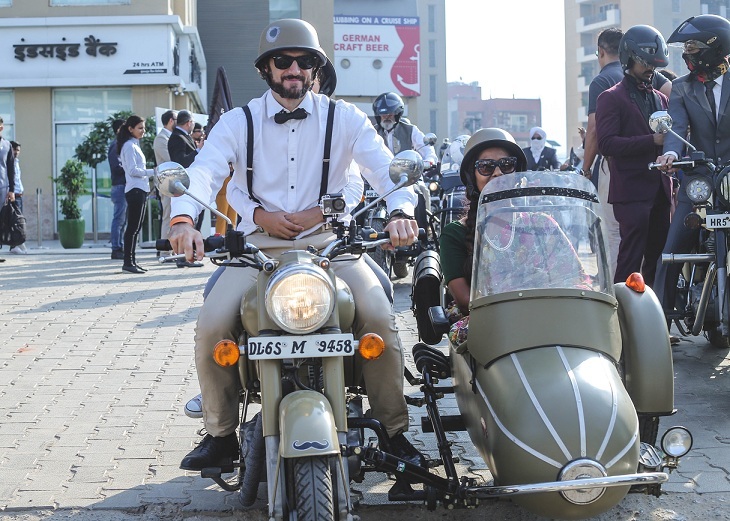 There was a very good reason for this impeccably-dressed parade—the 2018 edition of The Distinguished Gentleman’s Ride was flagged off in Gurgaon this weekend. Talking about stuff like health, relationships and tough times isn’t easy for anyone, but traditional concepts of masculinity put an extra burden on men. 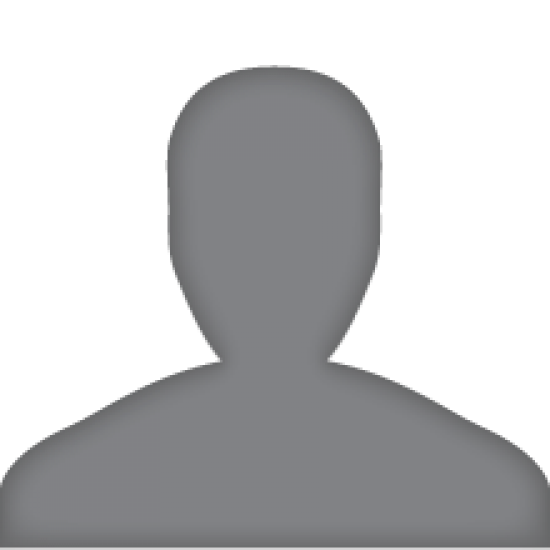 Earlier this year, you might have seen men posting pictures of themselves on social media making the classic ‘okay’ symbol with their hand (thumb and index finger in a circle and the other three fingers outstretched). Part of the #ItsOkayToTalk movement, these photos were an effort to erase the stigma surrounding male mental health issues. It’s high time for men everywhere to break their silence and recognise that the key to overcoming some of their biggest problems is to start talking. These photos are an easy and effective way to encourage conversations that could save lives! One of the most hard-hitting campaigns to raise awareness about suicide committed by men dealing with health issues took place in London. Project84 was an art installation comprising life-size statues of 84 men on top of the ITV buildings at Southbank in London. 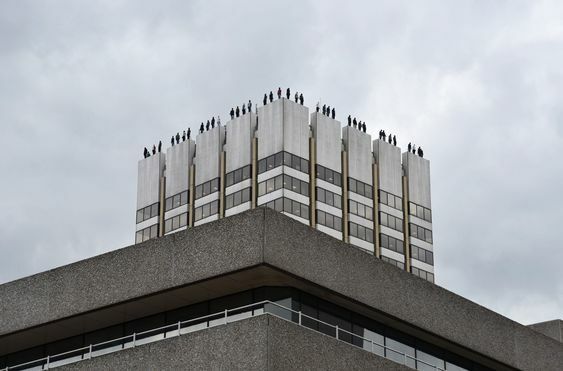 It aimed to highlight the fact that in the United Kingdom, an average of 84 men commit suicide each week. Each of the statues represents a specific, named individual who died by suicide and whose biographies are available on the project's website. The installation was created by artist Mark Jenkins and his collaborator Sandra Fernandez at the instigation of the charity CALM (Campaign Against Living Miserably) and was launched on 26 March 2018, remaining in place till 1 April. CALM aims to bring the suicide rate among young men down by providing helplines, web chat lines, magazines and any other forms of support people dealing with health issues might need. If you thought spreading awareness of these issues was a tough task, try getting involved with these organisations to do your part!